Savvy entrepreneurs don’t just wing it. The path to nail salon prosperity takes careful planning. Nobody ever said owning a salon was easy, but the most successful business owners sure know how to make it look that way. 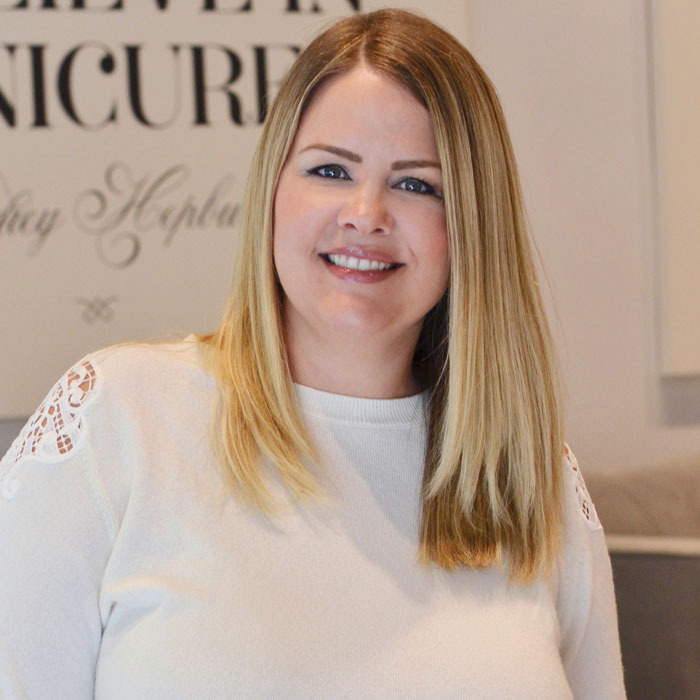 “Just like a successful sports team, you can typically find an influential leader behind every booming beauty business,” says Valerie Griggs, owner of 20 Lounge in San Diego. “It starts at the top and trickles down.” So what makes these beauty biz powerhouses tick? “Running a profitable salon requires discipline and knowledge,” says Carla Hatler, owner of Lacquer salon in Austin, Texas. “This business isn’t for the faint of heart.” Eager to learn more, we asked top salon owners to share the secrets to their success, and here’s what we found out. 1) They have a clear brand mission. “A brand identity requires an element that’s distinctive,” says Griggs. “The best businesses have a thorough understanding of the demographics of their target market, comprehending how they communicate and where their interests lie.” The first step for all would-be entrepreneurs should be to define their salons’ purpose: What will set your space apart? How will your services be unique? Existing salon owners should also revisit these questions periodically. If the clarity of those answers has grown cloudy over the months and years, now is a great time to reevaluate initial motivations for pursuing entrepreneurship. 3) They coddle their clients. From a welcoming smile to expert techniques to authentic enthusiasm displayed from start to end of service, techs have the power to transform each client’s day. Hancock makes sure that her salon’s clients always feel valued by keeping clear records for each one, including what services she prefers and her favorite color. “You want to know her name when she walks in the door and that she likes hot pink pedis with a flower on the big toe and a quiet seat in the corner with a glass of chilled water,” she says. Superior customer service is the cornerstone to building repeat business, which keeps books steady even during slow seasons. Consistency is likewise crucial. “When consumers return, they expect to receive the same level of quality as on their first visit,” explains Griggs. 4) They understand how to generate business. You may build it, but if they don’t know about you, how will they come? Successful salon owners understand that networking and outreach are important ways to gain exposure. “Attend events to which you get invited, and don’t be afraid to actively engage local community members,” urges Hatler. As your business grows, pursue new marketing initiatives to prevent it from getting stale. “Women’s weekend specials or holiday promotions are fun ways to feature fresh services, setting you apart while attracting new clientele,” says Hancock. 5) The never stop learning. Top salon owners agree: Continuing education pays back every penny you invest, because the rewards that come with sustaining a competitive commercial edge are priceless. “Additional certifications don’t only support a nail tech’s knowledge base, they also single you out as a high-caliber professional with advanced levels of expertise,” says Hancock. It’s no secret that beauty is an ever-shifting industry. Trends materialize and disappear faster than quick-dry polish. Learning where to source new products at the best values can lower overhead costs to keep the salon lights on. A business refresher course completed online or through a local community college imparts invaluable insight on how to charge fair rates for quality services while keeping pace with economic dips and peaks. 6) The know when to ask for help. No one digs a know-it-all. “Don’t assume you know everything, even if you’ve had this job for a long time,” cautions Hatler. Seek advice from colleagues with insider knowledge, or find a mentor who can help you develop unknown skills and save money by avoiding unseen pitfalls. “We flourish when supporting each other,” says Hancock. “Passionate professionals love to see their peers succeed.” Take advantage of readily available YouTube instruction videos or business blogs like This Ugly Beauty Business. “It’s my favorite because it’s full of tips for both owners and employees,” says Hatler. 7) They pay attention to their own needs. Nail techs dedicate their livelihoods to pampering others, so successful business owners understand that taking time for themselves regularly is vital to avoid burnout. “Be it a nap, a girls’ night out or an hour sweating at the gym, honoring your needs ensures that you have the energy and stamina to continue providing exceptional service while maintaining a quality life,” says Hancock.